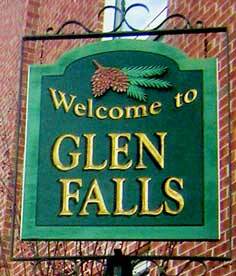 Many out-of-towners confuse the name of our area to be Glen Falls. What would it be like to live in Glen Falls? I suppose there would be the famous Cooper Cave, Finder Keeper consignment shop and a little Stewart Shop on the corner, right? It's inevitable that people are going to mispronounce words. Nobody is perfect! I did a little research and found out some common words that most people mispronounce. You might not even know you're saying them wrong! The state of Illinois feels our pain when it comes to saying its name correctly. Instead of its accurate pronunciation /IH-LUH-NOI/, a lot of people say it as /il-luh-noise/. I'm sure residents of Illinois hear this mistake a few times a day! The month of February calls for /FEB-ROO-ER-EE/, not /feb-u-ar-y/. I know I am guilty of saying this word wrong. Who would have known? Who doesn't like a little mischief? The word Mischievous is often pronounced /mis-chee-vee-us/, when the proper way is /MIS-CHI-VUS/. Are you up to no good? Diamonds are a girl's best friend! The word jewelry actually has three syllables. Say /JOO-UHL-REE/, not /jool-ry/. Here's an interesting one - Halloween, the spooky evening of October 31. Most say this word as /hol-lo-ween/, when the correct way is /HAL-UH-WEEN/. The word Halloween drives from "Hallowed Evening," which means "evening that has been made holy." So when someone says "Glen Falls," and it puts you a little on edge, keep in mind that you too might /pruh-nouns/ words incorrectly! Don't sweat the small stuff and give them a break!